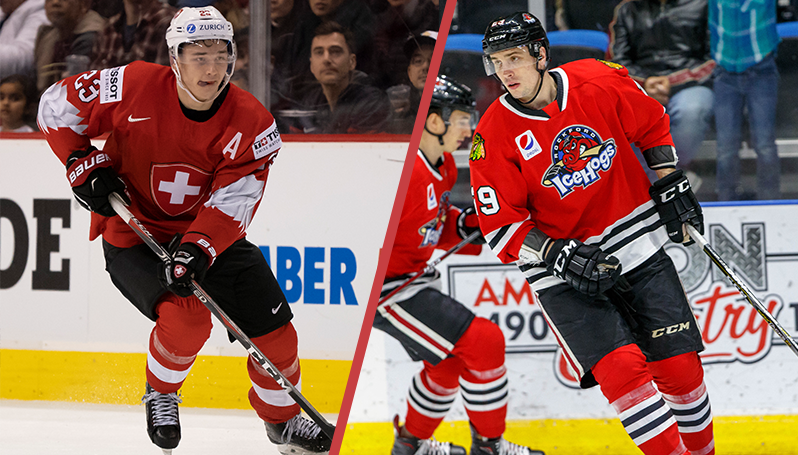 ROCKFORD, Ill. – The American Hockey League’s Rockford IceHogs today announced they have signed forward Philipp Kurashev to an Amateur Tryout Contract (ATO) and defenseman Dmitry Osipov to a Professional Tryout Agreement (PTO). In addition, defenseman Dennis Gilbert has been reassigned to Rockford from the Chicago Blackhawks. The Buffalo, New York native was originally selected by Chicago in the third round (91st overall) of the 2015 NHL Draft.